10 egg yolks use the whites to make an egg white omelet! Place the milk, vanilla extract and cinnamon stick in a medium saucepan over medium heat. Once it begins to bubble and simmer around the edges, reduce the heat to low, and cook 1 to 2 minutes. Remove from the heat and let it sit until it cools down. Once it has cooled down, remove the cinnamon stick. In a medium bowl, beat the egg yolks with a fork or whisk, until pale yellow and thick, about a minute. Add the sweetened condensed milk in a stream, and beat along with the fork or whisk, incorporating as you do. Add the cooled milk mixture, a ladle at a time, incorporating with the fork or whisk. Try not to make too many bubbles. Prepare a water bath using a roasting pan, adding about 1/2-inch of already hot water. 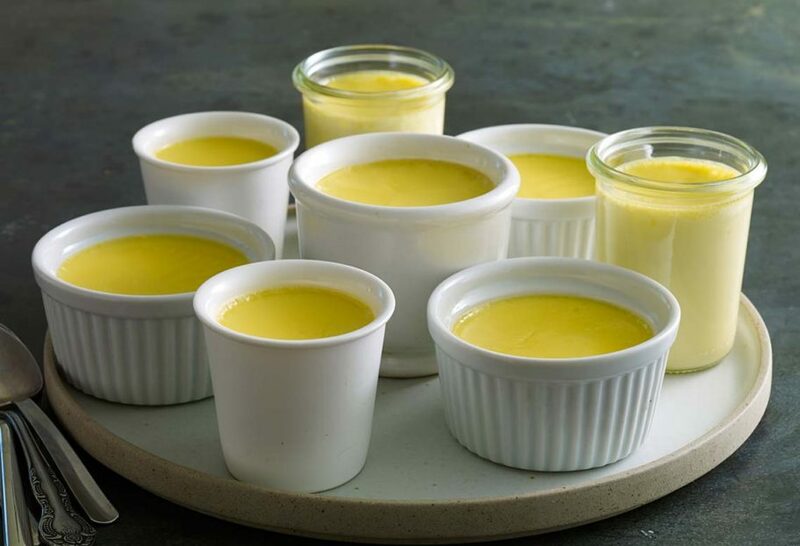 Place 10 ramekins, or flan or custard molds, in the water bath. With a ladle, pour the mixture into the ramekins, dividing evenly among all 10. Carefully place into the oven. Bake for about 25 minutes, or until the custard has begun to set and the top has created an evident thick layer. It should not be crispy or have browned, if anything just a few spots here and there. Remove the pan from the oven and the ramekins from the water bath. The jericalla should be creamy and smooth, like pudding. Let cool. Serve at room temperature, or chill in the fridge before serving. Pati love your show..just watch the one where y poo u made your husband food that he really like..amazing. .OK now I deleted this episode by mistake but wanted that no flour cake with powder sugar on top..